If the runways are any indication of what’s to be hot this spring, we’ll continue to see a lot of stripes and graphic prints and metallic, but what’s back with a vengeance? Yup, spring florals! And it couldn’t happen at a better time. Nothing says spring like a feminine floral print. The 2017 runways had all kinds of spring florals this year, both bold and daring ones and pretty and delicate ones. 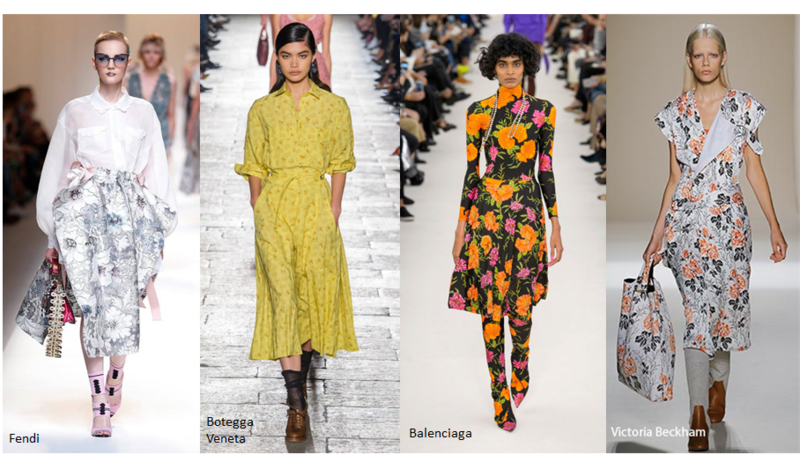 Lord knows nobody but celebrities can get away with wearing the whacky stuff straight off the runway, so here’s a few of my picks for how to do floral right this spring all of which are VERY accessible and all under $100. And I’m not sure we all need 5 pairs of floral shoes, but I saw these and had to share – one pair in our closet is ok, right? Okay, maybe two, one for dressy one for casual. Style experts are saying that one of the major trends we’ll be seeing in 2017 is a more interesting sleeve. By interesting, I mean, unique and different. 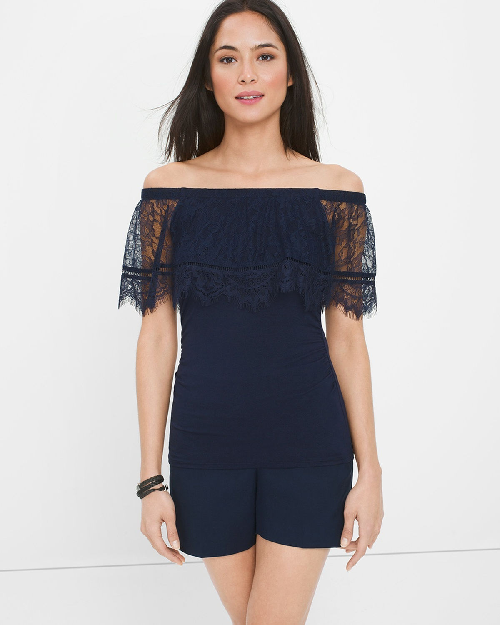 Think embellishments, lace, bows, ruffles and the like… more than just the ‘ol 2016 “cold shoulder” cut out, which frankly, I’m really tired of seeing already. Let’s just hope that interesting doesn’t translate to this…. 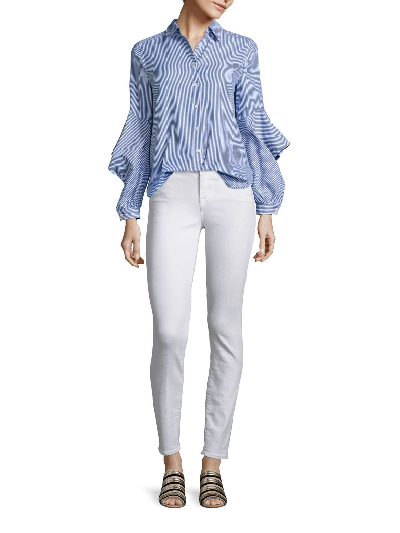 All kidding aside, making a white shirt more intriguing by adding an interesting sleeve or shape is a great idea. 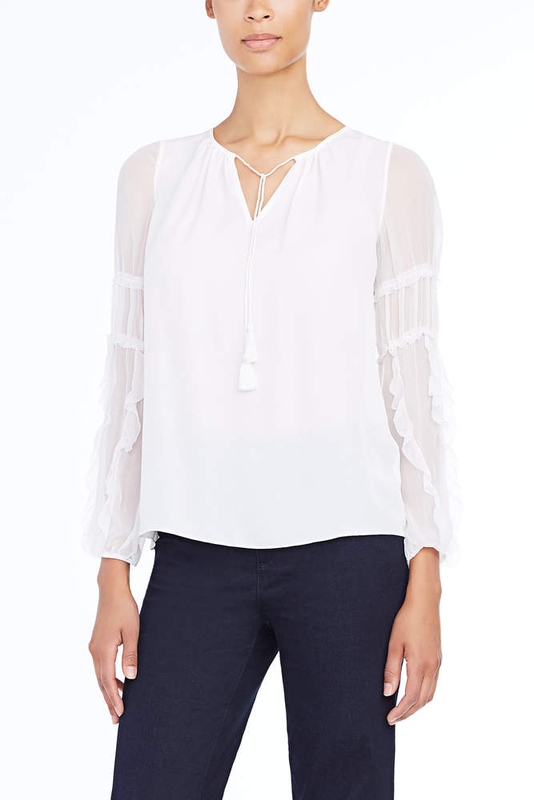 These few paired with a simple pencil skirt, slim black pants or even jeans are more elevated options than a plain white business-y blouse. Similarly white dresses make a daring arm more palatable. Black dresses and shirts can also make this trend a little more wearable for those of us who aren’t runway models. This shirt here is unique and will certainly get noticed, but the styling is a little Mad Max for my personal taste, what with the severe hair, patent skirt, fishnets and scowling model. I’d go for maybe a black jean to dress it down or a slim leopard print skirt to dress it up….and maybe a smile. For those who aren’t risk adverse you can go bold in color and in style with some of these more brightly hued options. There is something just so darn adorable about babies, especially babies that get all dressed up for the holidays. 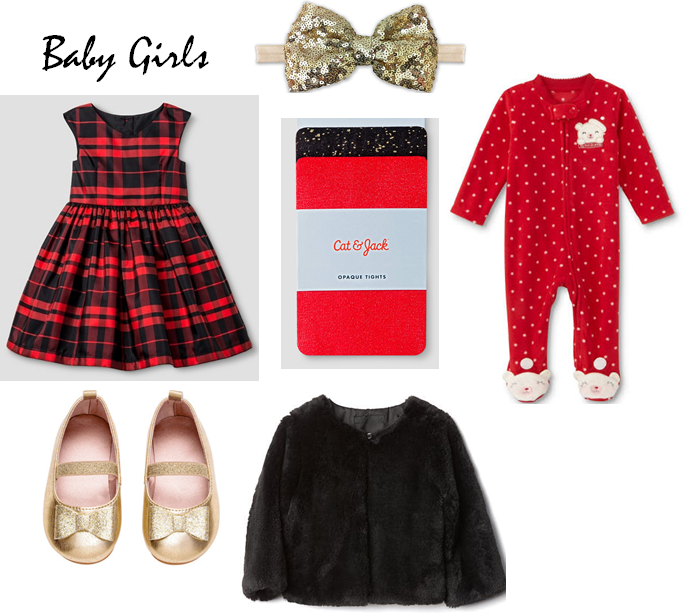 My kids are far from this age but sometimes I wish I had a tiny baby to put these adorable outfits on… nope…. wait…. correction…. I would borrow a baby from a family member to dress in these cutie clothes, cause let’s face it, rarely are they sleeping in heavenly peace. 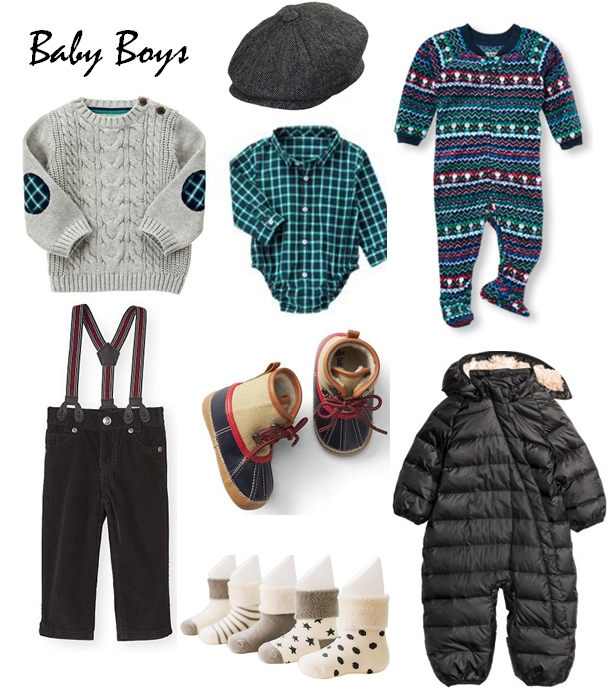 Here are holiday style options for baby boys and girls. Can you just imagine how precious a baby boy in a sweater with elbow patches and a jeff cap would be? And for the girls, this plaid dress and faux fur jacket is super stylish. I wish it was socially acceptable for a 39 year old woman to wear sparkly tights, ’cause I so would. I consider myself pretty lucky, my husband does a good job dressing himself and picking out what looks best on him. 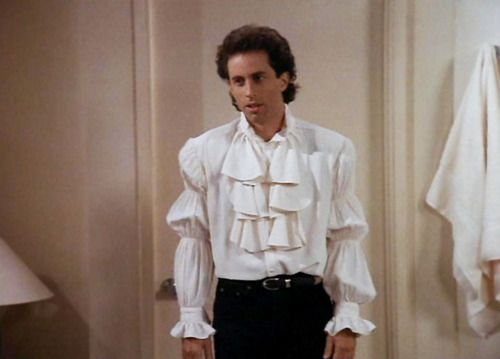 No real fashion interventions required. I know not all ladies are this fortunate and may need to either provide …. ahem ….. strong hints, or buy the clothes for their guy or twist their arm to wear something other than the jeans with paint stains on them. 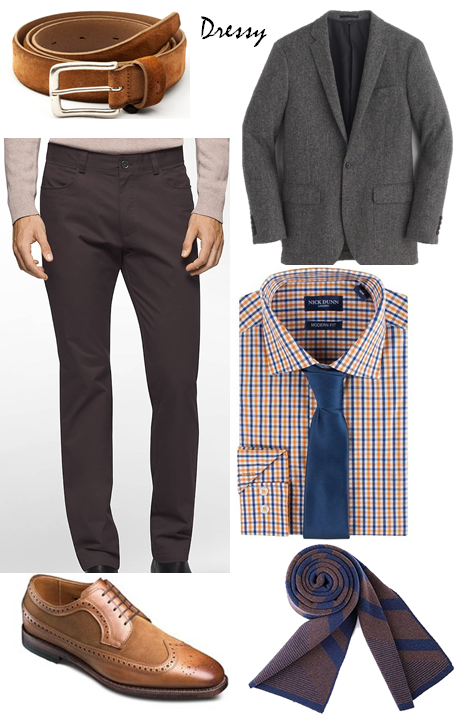 If you’re in this latter category, here are two man-outfits appropriate for a holiday party, one dressy, one casual. Better still, each of these ensembles consists of staple pieces that can be used in multiple outfits! 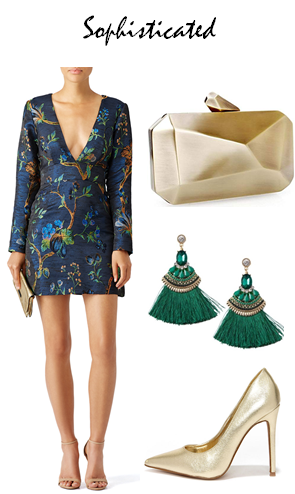 It’s that time of the year….yup…the dreaded holiday party time! Do most people like corporate or other mandatory-fun parties? I’ve never been a huge fan, but I can imagine that these gatherings may appeal to some social butterfly types (ahem, I think my husband falls in that category). 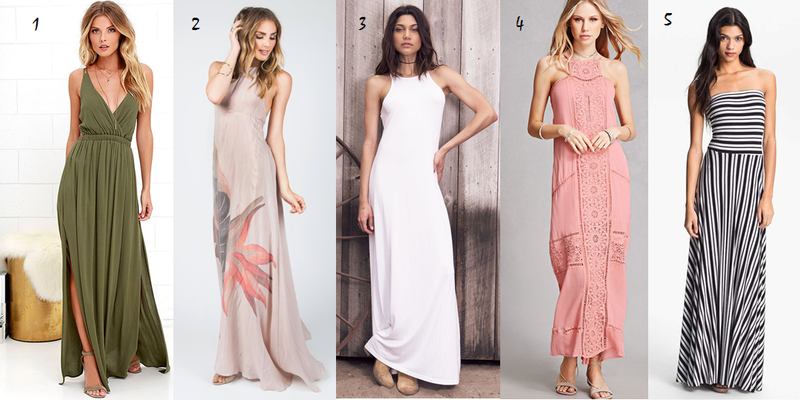 Whether or not you enjoy these holiday get-togethers you can’t go naked (whoa, awkward) so I’ve compiled a few ensembles fitting for those dressier holiday shindigs. 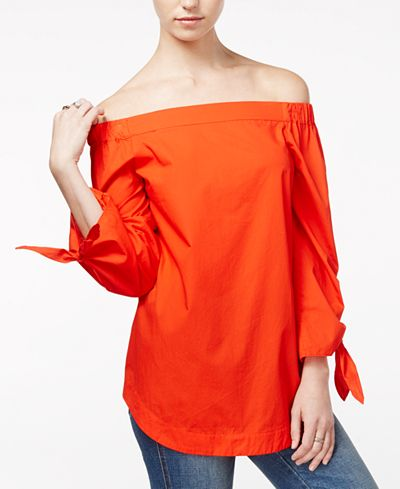 Each outfit below has a different feel and the main component is available for rent at Rent The Runway so you don’t have to spend a fortune to look super chic! And not to alienate any generation from looking fabulous here’s a great getup for the …ahem … more mature ladies. Think you can’t do a leather skirt if you’re over 50? Oh you SO can, especially one in a knee-length, A-line with perforated cut-outs. Those of us that live in cold weather climates and who get a lot of wear out of our coats, we often own several. And often they are, well, very neutral in color and safe in style because they usually aren’t cheap and we want them to go with as many of our outfits as possible. While this is very practical, in the drab winter landscape with pasty indoor skin, we inadvertently make ourselves look cold and well… blah. One way to amp up your winter style game is to own at least one statement winter coat. Choose wisely and I bet it’s one thing you’ll get compliments on over and over…. Anyone ever complimented your black puffer jacket? Yeah, didn’t think so. 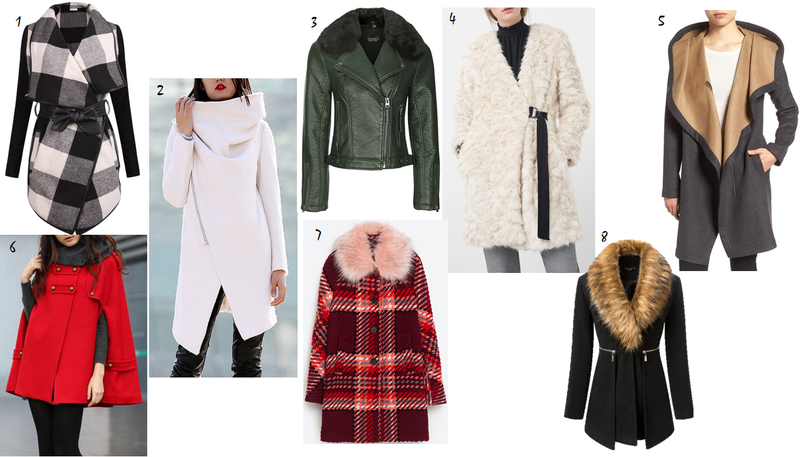 Here’s a selection of statement winter coats that are bound to get noticed! A collection of statement winter coats that will get noticed and complimented all winter long. 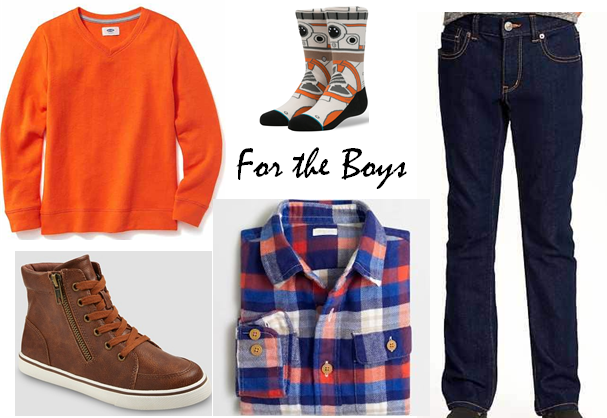 For the boys, a comfy sweater (definitely NOT an itchy one) atop a flannel plaid shirt (because flannel never needs ironing, and I’m wary to iron my own shirts let alone a kids shirt). Star Wars socks serve as a coordinating accessory so there is something that they actually will want to wear. And those shoes are my favorite! I am going to see if they make these in adult sizes and maybe I could convince my husband to wear them… or hmm… I think I can fit into a boy’s size…. 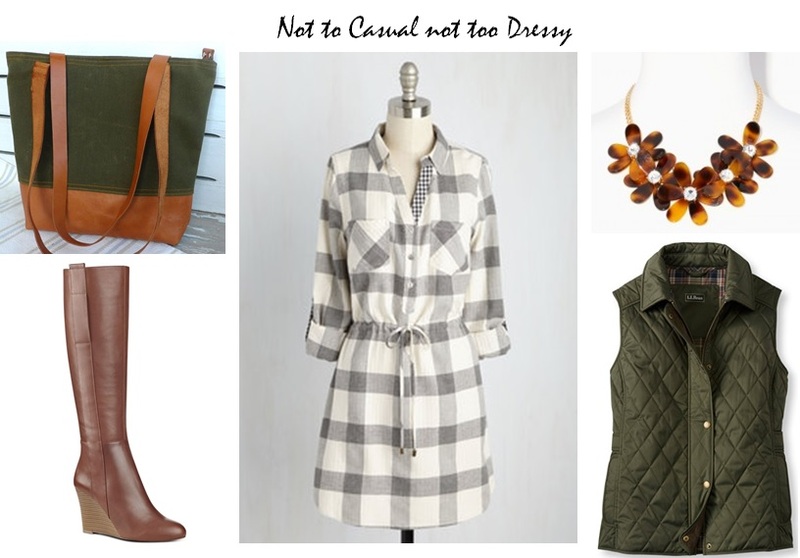 For the girls, a comfy dress that can go outside to play before turkey when paired with a cozy puffer vest. Easy slip on/off suede moccasin boots can accompany this dress or countless future outfits with leggings or jeans. Why have a hat with one fuzzy pom-pom to pet when you could have this one with two pom-poms? And the girls love Star Wars too – but we’re keeping it subtle and classy here with the Millenium Falcon necklace. This year Thanksgiving Dinner is at my house, with my much of my family coming over to stuff our faces in gratitude for this great land we live in (though things sure did get uh, interesting, in the wee hours of this morning, eh?). So technically, since Thanksgiving’s at my house, I could wear whatever the hell I want. I could wear my jammies if I liked (but I never ever ever would…. that is one of my top 5 pet peeves… people that not only stay in their PJ’s but even worse…. gasp …. host people or go OUT in them. Ugh, that is the worst). Anyway, our family doesn’t do dressy, so I’ll be doing a casual look, jeans for sure. We never know what else our Thanksgivings may entail… we’ve been known to hit the park for frisbee golf, go feed farm animals, or toss the football in the street, so it’s important to our family to keep the wardrobe way low-key. I know some people get a bit dressier and some even get downright fancy. 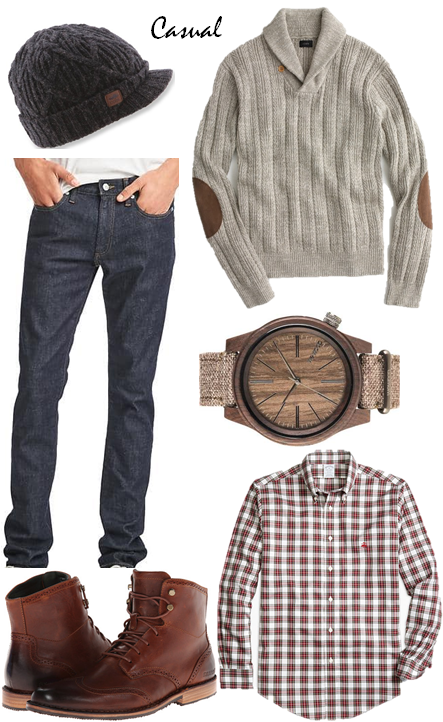 No matter which way your family Thanksgiving dress code leans, here’s an outfit option for each. And an option for someone who wants to be a bit more dressed up, but still plenty comfy with room for extra turkey…..
And for those who want to get all dressed up…. The last few weeks of weather has been perfect workout weather, ya know, not to hot, not too cold. With the onset of November and the impending time change this weekend, we’ll have less and less daylight and it’ll continue to get colder requiring some smart dressing in layers for your outdoor workouts. Here’s an option for the big spenders ….